Your air conditioning unit has many different parts. The condenser coil, which is important for cooling the air, is located in the outdoor unit of your central air system. For optimum efficiency, you need everything to work properly and run the refrigerant and cool air through the system. When something goes wrong, it helps to know the part that may be causing the issue. 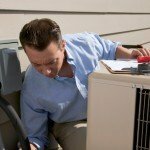 There are many common issues associated with damages to your AC condenser coil. If you turn on your air conditioning unit, but it does not cool the air, then you might have a problem with the condenser coil. These coils, along with the refrigerant, remove the heat from the air in order to blow cooler air into your home. When it becomes dirty or clogged, then your unit still runs, but the air does not get cooled. The cooling efficiency of your unit can go down by 30 percent when these coils stop working. Low levels of refrigerant may also cause insufficient cooling of your system. However, if you know that there is enough refrigerant, then you should check your condenser for problems. You should also try to keep them clean of debris to prevent any damage. If you notice that the efficiency of your air conditioning unit has decreased, then you might have a problem with your condenser. The condenser plays an important role in removing the heat from the air, which is basically what an air conditioning system does. If it becomes damaged, then your unit will not be able to cool the air as well as it should. The amount of energy it will need in order to perform the same functions will increase. You will notice that your electricity usage increases, even though the air conditioning temperatures remain the same or even decrease. Over time, this can even lead to more damages to your system, along with increased utility bills. Although it can be quite difficult to see leaks from the condenser and its coils, they can cause problems with your entire system. The coils carry the refrigerant and remove the heat from the air. If there is even the slightest damage due to dirt or debris, it can cause a leak. This can in time lead to your whole system breaking down. A leak in the condenser will lead to lowering of refrigerant levels, which will decrease the ability of your system to cool the air. If you notice your refrigerant levels dropping when they should not, then there may be a leak that should be investigated. 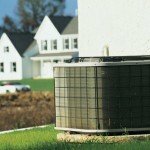 Keeping your condenser safe is important to the overall efficacy of your AC unit. Because it is typically in the outside unit, it is vulnerable to damage from debris, dirt, and leaves. If you notice that your air conditioning is not cooling properly, blowing hot air, or losing refrigerant, it may be a good idea to have the condenser inspected.